If you're in the Baltimore area and thinking of a Dahon, I'll help you with the rare test ride. 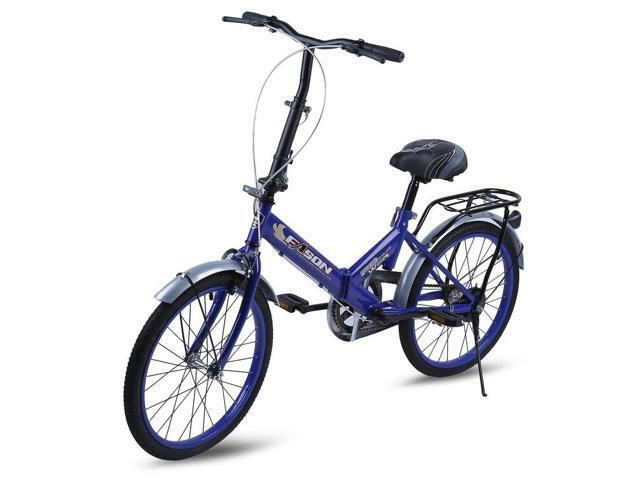 You can check out my Dahon and buy one from my favorite online dealer, who is a member here, with confidence. PM me. Hi all.....I'm happy I found this forum as I've been considering a folding bike for awhile now. With all the info here I think that my head is going to explode! My initial plan is to either get a used foldie or a "cheapie" to see how everything goes and if I like it then look into upgrading. I will take into account that I am not as likely to get as good a ride, experience, etc from a lower end bike. I really do want to see how I feel about folding bikes before I make a significant investment, and if I do upgrade I'll have a guest bike or I can give it to my niece who is moving to NYC soon. Anyhow, I've been looking around for a used bike and this one popped up on CL the other day http://philadelphia.craigslist.org/bik/2521654122.html The owner states that it has 21 speeds but I can't find any references to a Dahon Speed TR with anything but 24 speeds. Maybe it's because it's 3 years old? What do you guys think? Thanks in advance and thanks for all the great posts I've been reading! Welcome to the fold: I suggest you start a new thread for your question. Many peopel (like me) do not read this thread often since we are not new to foldingbikes . I think this should be added to sticky. Very informative. I'm looking for a nice commuter-style folder. price is not a huge issue, but I don't want to be ridiculous. I'm willing to pay for quality and longevity. I've been considering a Brompton with the grocery bag clipped to the front, a six-speed drivetrain, and Shimano hub generator. That configuration is around $2000. I'm curious if there is anything similar out there for a bit less coin. It seems a little steep for what it is. Low $1000 range is more ideal. Last edited by Jeffbeerman2; 06-03-13 at 06:46 PM. DISCLOSURE: I have an ownership interest in a company that is an authorized dealer for Brompton. Posted recently about upgrading dahons. But is a really good general guide to upgrading folding bikes. The big question for newbies when it comes to choosing a folder always seems to be: Cheap or expensive? Which way do I go? But how about getting a new bike for free! That way you get to dip your toes in the folding bike waters without any risk. In Canada, if you have enough airmiles stocked up, you can get a "best buy" entry-level bike for absolutely nothing -- yup, no shipping charge either -- in the form of a Raleigh Avenir 6-speed alloy folder: https://www.airmiles.ca/arrow/Reward...Id=prod1884615 . With Safeway now handing out a generous 20X points for their First Tuesday of the Month Sale, it doesn't take long to rack up the airmiles. I now have two Avenirs and it only took me a little over three months to get the second one on points and bonuses. Keep in mind that these bikes arrive in a cardboard box and may need some fine-tuning or repairs by a bike mechanic to get them on the straight and narrow. More on the subject in a separate post ....http://www.bikeforums.net/showthread...r-Folding-Bike . Last edited by AvenirFolder; 11-16-13 at 10:55 AM. One correction I'd offer: You CAN bring a Brompton as carry-on. It must be gate checked. You can also call this a "personal mobility device." Works like a charm. I looked but could not find any comment the suitability of folding bikes on dirt roads or hard pack beaches. Not talking MTB stuff but say village to village in foreign countries. Iv'e ridden my road bikes on many a dirt or gravel path. Any things to look out for? 20" vs 16" wheels? If commuting (daily ride on city streets) is your need, you shouldn't buy a folder with the hinge in the middle of the frame. The pounding will cause the frame to flex. For heavy riding and a durable investment, you're right to consider Brompton, Bike Friday (especially the Diamond Tourist), Ori/Mezzo, and even Moulton if you've won the lottery. Edit: Note that of these bicycles, the Bike Friday does offer a lifetime guarantee. According to another member of this site, the Brompton has only a five-year guarantee. Ok folks. This is a nice list and answered my many questions. I have one that needs to be answered. We are actually looking at folding bikes for recreational biking. Being road trippers, we would like to carry the bike along in the car and then use it wherever we go. That way folding bikes must be a great option. What do you guys think? Take a look at the Origami Crane 8. It is very light and compact so it is a great travel companion. This is a great sticky post. Thanks, very informative. If the links in the OP (a) worked, and (b) had descriptive titles replacing the (currently dead) URL text, this would be a great resource. How much bigger is a 451 wheel relative to a 406 wheel? On my own bikes, a 406 rim with a 42mm-wide tire (Schwalbe Marathon Supreme) measures 50cm in diameter, while a 451 rim with a 28mm-wide tire (Schwalbe Durano) measures 52cm in a diameter. Last edited by jur; 02-16-17 at 08:50 PM. Pretty good. Seems to give a good approximation. In other words the diameter of a 406 and a 451 wheel will be equal when the 406 tire is about 23mm wider. So, say, a 406 wheel with 50mm Big Apples will be roughly the same diameter as a 451 wheel with a 37mm tire. Last edited by Abu Mahendra; 02-16-17 at 09:22 PM. Has anybody had experience with an Outad? I wonder if all the front fenders are situated so? They don't provide much detail, but the components, latches, hinges, and brakes look to be very low-end. There is a personal frustrating reality to owning a 20inch bicycle. Very few bikes, mostly higher end, have the adequate gear inches to keep up with the bigger tire cycles. I can look at a bike, see it's chain ring is under 50 and realize I'm going to be pedaling like an idiot and doing maybe 9mph. BTW, my "sweet spot" for gear inches on single speeds is about 65 gear inches. And that's about how the European bikes from the 60-90's were designed. I've had to upgrade my Mercier Mini Velo and DownTube FS9 with chain rings of 56 teeth. That's simply not true. I did a number of group rides with road bikes, and I had no issue keeping up with them using 406 wheel and 53-11 gearing.